Welding equipment manufacturer CIGWELD recently launched its new ProLite helmets suitable for use during welding or grinding tasks. 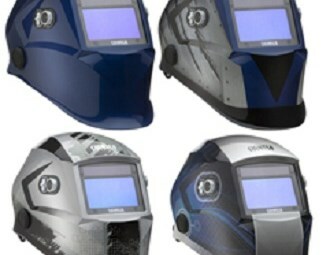 CIGWELD's new range of ProLite auto-darkening welding helmet range comes in four colours. According to CIGWELD, the helmets feature four highly sensitive sensors that can take readings and make adjustments to the variable lens in less than 1/20000th of a second. Due to their high sensitivity, the helmets know exactly how much light to let in even at very low amperages, making them ideal for low current AC and DC TIG work as well as more powerful stick and MIG jobs. In addition to running on regular CR2450 lithium batteries, the ProLite range also feature a solar panel which draws energy from the arc rays they are exposed to and uses that to power up the lens, thus prolonging battery life. Visibility is also improved with a viewing area of 98mm x 55mm, allowing for easier and more precise welding. A button on the helmet allows the wearer to switch between welding and grinding modes so they’re not plunged into darkness when they pick up the grinder. An optional magnification lens is also available for the fiddlier jobs which slots in to the helmet easily. The ProLite range is fully compliant with Australian standards. According to CIGWELD marketing manager Laura Carazza, there is nothing more important than choosing the right helmet for the right job. "Aside from the pain and inconvenience caused, that result in thousands of lost hours." "It’s critical to choose the right equipment and that means wearing a proper, fit-for-purpose welding helmet that not only protects your eyes but also offers full facial and neck protection, reducing the impact of arc rays that can cause burning of the skin." Click here to find CIGWELD welding equipment and accessories for sale.